Also take a look at our program review about Makati branch! I'm hoping you'll open a branch in Cebu soon :) It would be great to have a Yakson branch here next year together with the opening of our new SM and Ayala malls! Thanks! I'll be forever grateful! Thank you for your comment, smb58 :) We would like to open a new branch in Cebu, too. 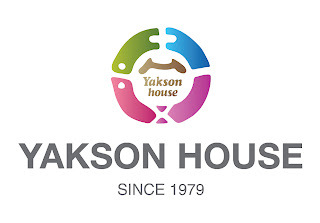 Thank you again for your interest in Yakson House. We look forward to seeing you soon! This is great! I came across Yakson's website way back in August 2011, and I really got interested with what they offer. When I was a little girl, many of my playmates and even my siblings used to tease me for having a big forehead (at about four fingers wide) and protruding mouth. To cover up this big and wide forehead, I would always want to put bangs and at the same time, I had my braces done in 2008 to straighten up my teeth. Now that I am already in my mid 20’s, my friends still tease me about these two imperfections in me. I am so conscious about how I look in front of the people I am usually with. In short, I lost confidence and was used to believe that I am not beautiful. For two years I kept on surfing the net and researching on the safest procedure that could be done to eliminate my dilemmas. I was so excited and happy when I read about the services Yakson is offering. I found way to visit the place and personally inquired about the procedures’ costs (though it is already posted on the website). Anyway, I had a difficulty locating their place since I have never experienced living in Makati. Luckily, I reached Yakson at around 4pm and immediately sat down on the sofa as I entered due to tiredness. Lol. Well, I was able to spoke with the owner and asked about how the services are done. I want to have a narrower/smaller forehead and I want to have my teeth be pushed a bit backward. But because of too high charge for each service, I was not able to avail any of them. I disseminate this information to some of my colleagues who also want to try their services. However, they wanted me to try it first and see if there will be changes and differences. As of the moment, I am looking forward that sometime in the future services’ fee will be lowered based on the standard of living here in the Philippines. Or at least Yakson will be able to give discount coupons. But generally, I know for sure that its services are more effective and much safer than the traditional method of enhancing physical beauty, such as undergoing surgeries and taking too much capsules. Thanks for the great respond :) I am very happy to hear your opinion about our program and service. Without plastic surgery, our program will make your forehead smaller and slimmer. our golgi therapy involves asserting pressure on the bone by applying force on the skin. when pressured against, bone move in resistance to the pressure within the body and become much stronger and healthier. I think, compare to plastic surgery, our price is not that high. Think about how our program can improve the appearance of your face. I am sure you feel more confidence about your face!